RDM Maar Hala (*Ansata Ibn Halima x Maar Jumana), leading Egyptian dam of champions and foundation mare of Rancho Bulakenyo. RDM Maar Hala was just such a striking, flea-bitten gray in her early years, and she certainly filled Rancho Bulakenyo with her descendants. Dr. Felino Cruz laid the foundations for Rancho Bulakenyo when he purchased RDM Maar Hala as a 2-year old in 1975. 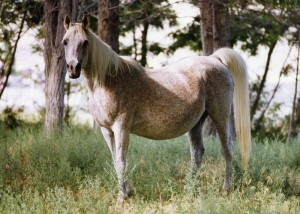 She achieved international fame as the dam of 11 foals, 8 of which became champions. 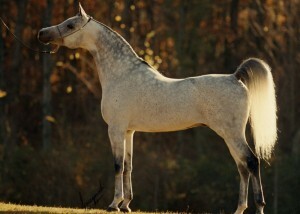 She is an Aristocrat Dam and the leading Egyptian dam of champions. Her daughter Maar Bilahh topped the Gleannloch Legacy Sale at $185,000 and later went to Israel, where she became 1995 Israel National Champion Mare. 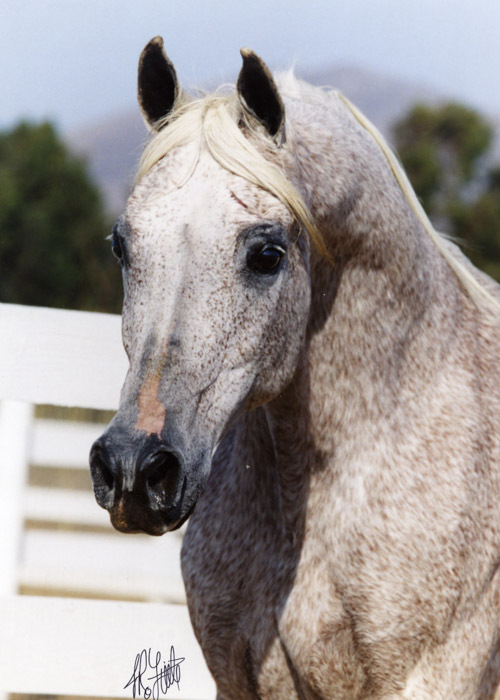 Another daughter, Maartrabbi, went to Malthouse Arabians in England where her daughter HS Marguerita (by Simeon Sadik) became a beloved mare at Shirley Watts’ Halsdon Arabians. 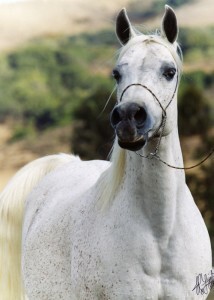 Her son, El Halimaar (by *Ansata Ibn Halima), was the senior stallion at Rancho Bulakenyo until his passing. He sired the sons and daughters upon which Rancho Bulakenyo stands. Bred back to his dam, they produced Haliluyah MH, the last breeding son of Maar Hala, who remains at Rancho Bulakeyno. He is joined by Jabbaar ElHalimaar MH (El Halimaar x Kachina MH) as pillars of Maar Hala in the stallion band. 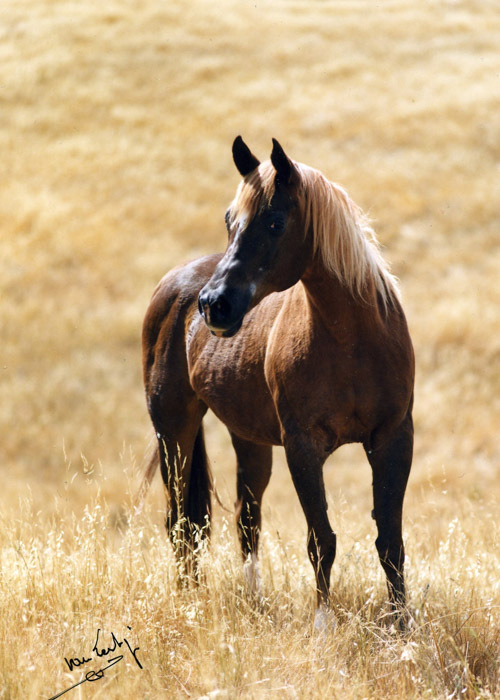 Their names reflect a practice begun in 1993 by Dr. Jody Cruz of using “MH” in the names of Rancho Bulakenyo-bred horses that carry RDM Maar Hala in their pedigrees. Early on, Dr. Cruz recognized the importance of using several different mare lines. 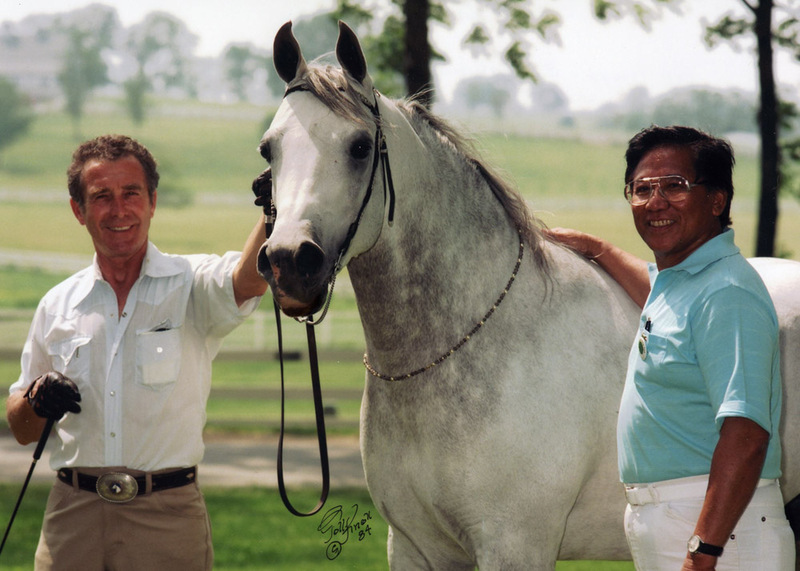 A second important mare line, now often referred to as the “Moon Family,” began with the 1983 acquisition of Hadassa (TheEgyptianPrince x Nafairtiti). The next year, her sister Kachina Moon (El Hilal x Nafairtiti), and, in 1988, Kachina Moon’s daughter SF Moon Maiden (by Nabiel), joined the mare band. SF Moon Maiden has grandget and greatgrandget today. Nafairtiti (Morafic x Bint Maisa El Saghira), matriarch of the “Moon Family” who lived out her final days at Rancho Bulakenyo. Family matron Nafairtiti (*Morafic x *Bint Maisa El Saghira) herself spent her final retirement years at Rancho Bulakenyo, honored by the Cruz family for her contribution to their breeding program. Hadassa’s daughter by El Halimaar, Maadassa, was exported to Simeon Stud in Australia. This famous line, tracing to Bint El Bahreyn, a gift from the Bahrainy royal family to Khedive Abbas II of Egypt, has become a mainstay of Rancho Bulakenyo. 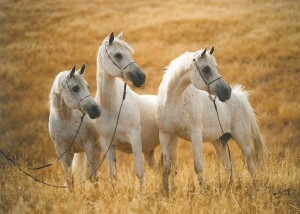 SF Moon Maiden (far right) with her daughters Moon Storm MH and Kachina MH, by El Halimaar. Bint Romanaa (Morafic x Romanaa II) had a successful career in halter and performance. She spent her final days at Rancho Bulakenyo as Jody’s personal riding horse. The elegant, Gleannloch-bred Bint Romanaa (*Morafic x *Romanaa II) caught the eye of Dr. Cruz, and he was determined to obtain her blood. He was able to get a filly (Romanaa Maara MH) in 2000 from Bint Romanaa’s granddaughter Kai-Ann (by Roufann who is out of *Bint Romanaa). 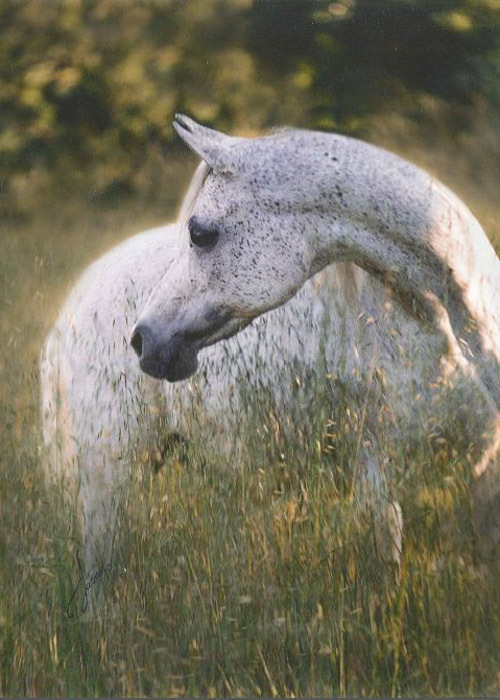 Matriarch Bint Romanaa was given her final retirement home at Rancho Bulakenyo. Her influence is represented today by Romanaa Maara MH and her daughter Binte Romanaa MH. Aziza Princess (TheEgyptianPrince x Aziza Samira) through her daughter BintAzizaPrincess (by Abenhetep) founded the rare Kuhalah Kroush family at Rancho Bulakenyo. 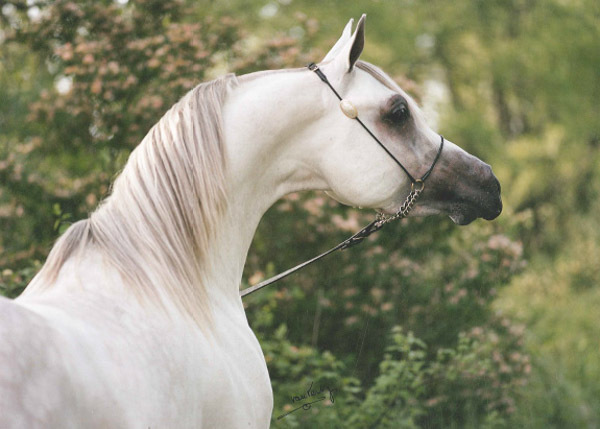 Another important foundation mare traces to the rare Kuhaylah Kroush, El Kahila. This is the damline of Kai-Ann (described above), which goes back to this rare strain. Dr. Jody Cruz acquired her maternal sister BintAzizaPrincess (Abenhetep x Aziza Princess), in 2008; BintAzizaPrincess has a daughter (Binte Aziza MH) and two grandsons (Bashar Al Kamar MH and Nour Al Kamar MH) breeding on at Rancho Bulakenyo. 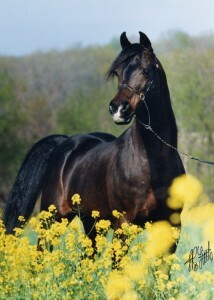 A third grandson, Kaliph MH, is on lease to Hadaya Arabians in Wisconsin. Binte Aziza MH has just produced the first foal by Lebinon Al Shaqab – a beautiful filly. 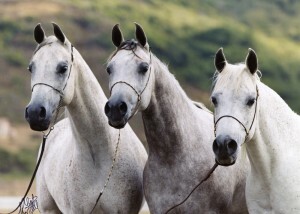 RDM Maar Hala, Fasarra, and Cameos Jewel, foundation mares for Rancho Bulakenyo. As with stallions, both Felino and Jody Cruz have judiciously added select mares, sometimes producing outstanding sons for the stallion barn. One such was Fasarra, of the famous Hadbah Enzahiyah mare Venus. Bred to El Halimaar, she produced the powerhouse Richter MH, so named for his birth at the time of a major earthquake in California.